WHEN I FIRST STARTED this blog, it was because I’d tried (and failed) to write book reviews in a notebook. I was really getting into my stride, reading-wise, and I wanted needed somewhere to put all my thoughts. I’d already been writing a fair bit about my life, anxiety, and poetry in another blog, which I’ll refer to here as my ‘personal blog‘. The interaction on there was good and I’d made a few blogger friends. But I wanted to do book reviews, and instead of adding book reviews to the personal blog (which I’m glad I didn’t do) I started this blog. If you want to travel back in time, you can read the first ever blog post I wrote for this one (‘A Place for Book Reviews‘) when I finally took the plunge. Since then, I’ve come a long way, but I haven’t really progressed content-wise. The bulk of this blog is book reviews, author interviews, and the occasional haul/wrap up or book list. That’s all great, but in recent months I’ve been lazy with it. This is down to feeling slightly trapped by the blog being exclusively for book reviews. Yeah, books are a big part of my life, but reading books and reviewing books are two different things. When I’m reading a book I’m experiencing it, whether for the purpose of learning, escaping, relaxing or keeping up with new releases. I have thoughts and feelings about the books that are sometimes hard for me to articulate in words. I used to read a book, then sit down and review it before moving onto the next book. So then it became this weird factory-like process, where I became a bit of a review robot. There’s nothing in this world that would make me want to become a robot, even if it’s a bookish one. The other day, I was perusing my archives for stuff that wasn’t book reviews, and I came across my post ‘210 Questions to Ask Yourself – Flow Magazine‘ and I read the whole thing over again. I feel like I was really honest there, and put myself into every answer, which is something that can get lost in reviews. I don’t like structure when it comes to creativity. I like freedom. I like doing things on my own terms, and this is partly down to having done an MA in Journalism where I felt my creativity and freedom being sucked out of me for the sake of grades and ‘doing things properly’. When I tried to do things by the book, I lost all sense of self, and tried to produce things that I thought were what tutors would expect. I left any creative thought on the shelf. With my reviews, I’ve always tried to eschew any kind of formal structure, and approach them from a personal perspective, to tap into my experience of a book, to tell the story of my reading it. But now I want to go a bit further, and include different kind of bookish things, and even things that are just personal ramblings. At the time of writing I don’t have a plan. I have a few ideas, but for now I’m doing really well with reading, and that’s down to not pressuring myself to write about them all in one go. There will be subtle changes here and there, better categorising, and more interesting content (I hope). 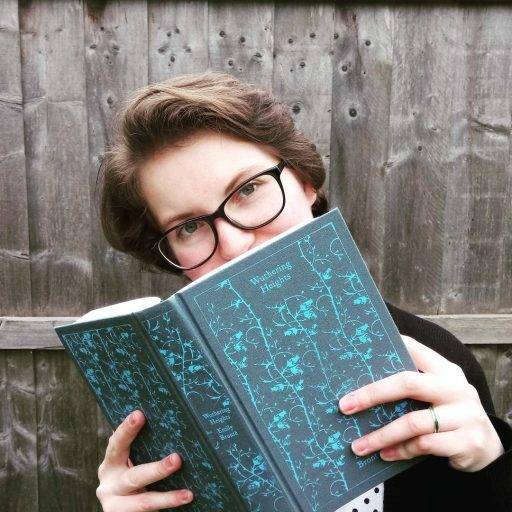 I want to put more of ‘me’ into this blog, and not be afraid to have a voice outside of telling you what I think about books. I’ll tell you what I think about other stuff too, because otherwise it’ll get lost in my mind somewhere. If you’ve made it this far, thanks for reading, and I’ll stop writing now, because if there’s one thing I’m good at it’s writing too much (remember what I said about liking freedom? That’s why). P.S. At the time of writing, I’m trying to contain my annoyance at this WordPress blocks thing. Apologies in advance for the fact that I can’t justify the text anymore. I thought I had this website editing thing down, but, excuse me while I re-learn everything again. Looking forward to seeing what you post in future – the thinking sounds brilliant and I have really enjoyed your reviews to date! Thanks Jenny! I find with this sort of thing that the only person standing in the way is me. I’m looking forward to exploring different kinds of self-expression through my writing online. OMG, as you might imagine, I am dead excited about this. We can be rambling sisters!!! Also, with the blocks: yeah I also hate that I can’t justify text either…though I though that might have been the case before too? I can’t remember. I’m excited too that I’m finally working it out! Can’t wait to get scrawling. I hope so. The weird thing is I tried to fool it by doing the keyboard shortcut for justifying text but even that doesn’t work. The editor is just like NOPE WE DON’T DO THAT ANYMORE OK.